By: Yulia posted on September 09, 2015 in Inspiration . Welcome friends! We have prepared for you this very cool and a great collection of 15 most beautiful and useful Free PSD website templates that were created in 2015. Here is a wide range of themes and variations for many business and creative ideas. 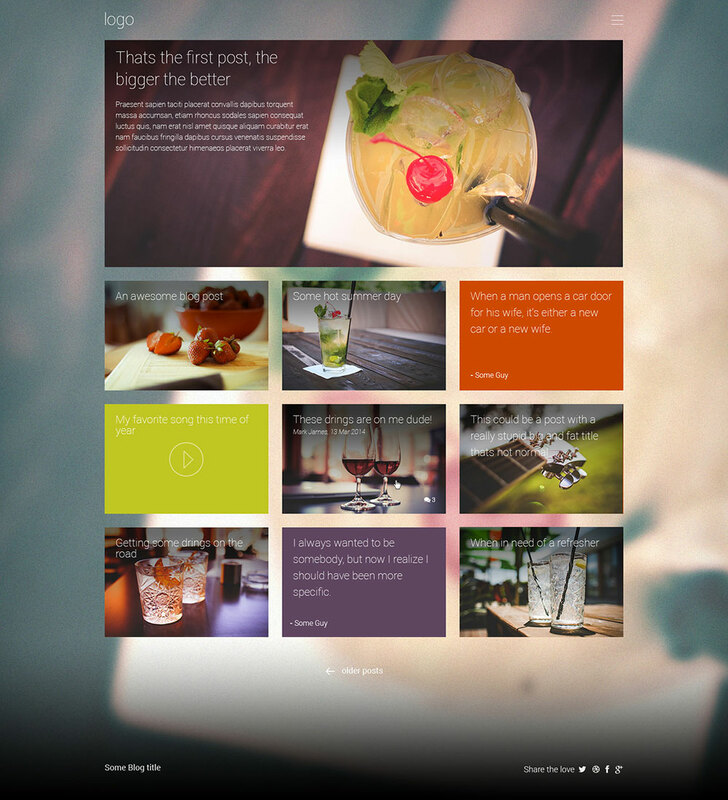 PSD website templates – it is a great way for designers to practice their skills and get some new ones. While using such template this implies that you can work with already made images and layouts. It is very easy to make adjustments and new ideas that waste your time and come up with something new. This collection is interesting for all developers and designers because they contain only the original designs of graphic files. Professionally completed PSD template will help novice designers to understand the kinds of PSD sites and their structure. PSD website templates are the custom layouts which are easy to customize, edit and it is easy to delete or add certain elements in them. All of them can be simply enforced in several open source platforms such as Drupal, Joomla, WordPress etc. In this collection you can find samples dedicated to Home Design, Goods Portfolio, Food and Drinks, Photo Gallery, Blogger, Location Find, Sport, Organic, Photography and many others attractive website templates. Choosing such templates and knowledge of modern IT trends will help developers to choose the right technology and the strategic plan of development of their companies and organizations. There is a collection that can save your time and money and allow you to develop your creativity! Meet Hooky – a modern, minimalist and elegant one page PSD template. It’s an ideal choice for your personal website or creative agency. Download it now for free and use it to showcase your works and show them to the world. A well organized, layered PSD file is included, so you can easily customize the design and use it for your personal or commercial projects. Agenzia is a Awesome design for Personal Portfolio, Creative Agency, Design Portfolio, Ecommerce website ,Photographer Portfolio and more. Perfect for creative individuals and companies to showcase. This one page website template could be used for different kinds of sites, such as agency, portfolio, landing page, small business and freelancer sites. Singular One page website template allows you to tweak an existing slick design into something of your own or something to match your clients needs. Go ahead and download this free PSD template. Hope you enjoy! Builder – A free vibrant web app PSD template was designed for a sales site of a web based online website builder that targeted designers. The colour scheme plays on a subtle purple tone which is so easy to work with, a hint of aqua and even some subtle pastel oranges would work super well also. 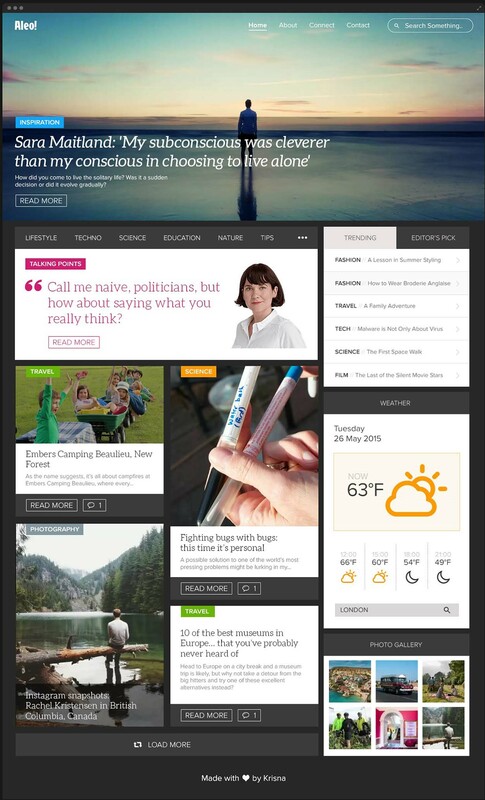 Today we present to you this great single page web template. It is ideal for your portfolio for creative agency web page. With this psd web template you can present your business on right way. Pex is a free website home page Photoshop PSD. A image heavy and block layout template, this website design really suits bold colours, large headline text and dominant imagery. Designed by yours truly, Blaz Robar. Modus is a great PSD web template with beautiful and modern design. 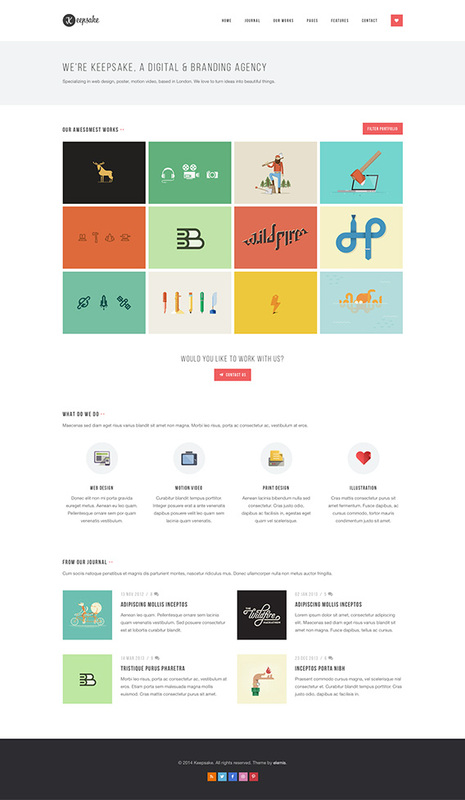 Modus is great for portfolio, agency or any other type of web design. Free google fonts used, link can be found in the help file. Note,images are not included in the PSD. Sports is created for all those who want to make sure that their users get all the information needed with a unique and creative web design. Sports one page PSD website template is made with lots of love, and pixel perfect precision, to present yourself in an amazing one page view. Tattoo Studio PSD Website is a sleek and clean website design designed by Robby from robbydesigns.com. This dark design uses some great layouts with angular sections and gets my design heart pumping! Thank you for watching! Have a nice day!